Parker Fittings, Valves and Tubing - Great Lakes International, Inc.
Parker fittings and tubing are manufactured to meet or exceed specification requirements. 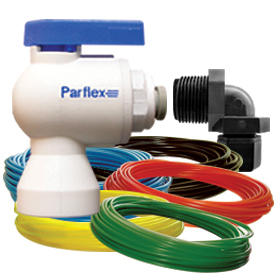 Fittings are available in a variety of styles and provide leak proof solutions. Parker tubing is available in polyethylene, polypropylene, nylon, and clear vinyl materials.